One of the things we have realised is just how much small children learn through life and imitation. There is such a push to have children starting Reception at school at just 4-5 years old and to start them with more formal learning methods, when it really is not needed. Through imitation and role play they learn so much at this age. If you look towards the Finnish system you can see an example of one of the best school systems there is, ranked as one of the best in the World. Children in Finland do not start school until they are 7 years old and there are just 12 students to each teacher. This means that not only are the children more ready to start learning in a more formal setting, but they also get more support and guidance in the smaller class setting. Not only do they start formal schooling later, they are given more breaks during the day. A child who gets time to play with their peers, and plenty of outdoor time, will be able to focus better in the classroom on their return. The UK just doesn’t come close to even matching up. Weighing and measuring ingredients and following the recipes is a great way to help with both reading and maths, plus the sensory play of squishing all that dough, whilst learning a life skill – all without “formal” education. Gabe loves bread baking in particular and this past week has managed to make flower rolls, seeded spelt rolls, and his own pizzas. We’ve also managed some oatie cookies and double chocolate chip cookies too. Home baking is a lot cheaper if you compare to a fresh bakery or to the Supermarket bakery section. 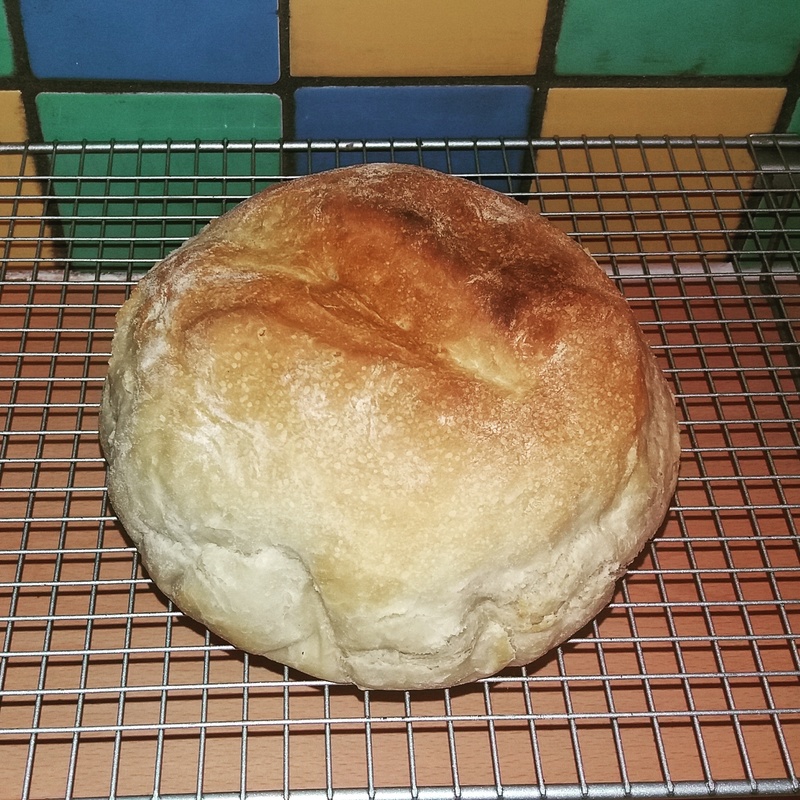 Yes, you can buy a really cheap loaf for 40p, but it is no where near as nutritious or tasty, and even the value loaves are sneaking up in price I’ve noticed. Just put the water in then the dry ingredients and set the make to go. Simple! I get Gabe to help with the scooping and weighing and then let him pick the bread maker setting on the machine. When hand baking I do a second half batch of dough with him, just for him to knead, rise, and bake. I also find when he joins in with the cooking there is a far greater willingness to eat the end result – even with new recipes and foods that otherwise he would declare “yuck” without even trying.